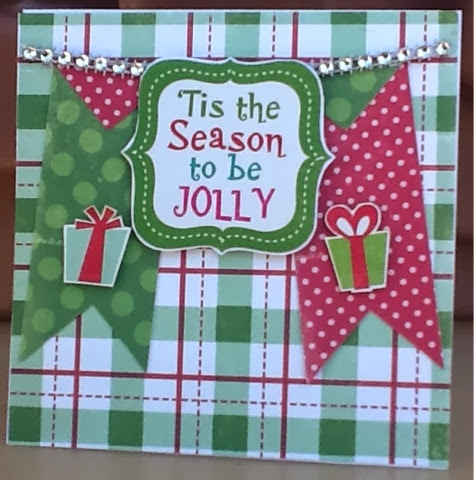 Well the poinsettia and the banner flag inspired this Christmas Card completed with Echo Parks holly jolly line. I used the front cover, you know the one that comes in the front to advertise the line. I fussy cut the sentiment and presents from the sheet and adhered using pop dots. I also chose to make this a 5x5 square cards rather than a A2 size:). 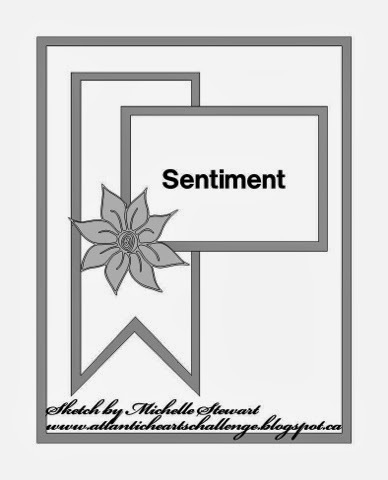 Remember to come on over to Atlantic Hearts Card Challenge and give it a good ol fashioned whirl! I just know you'll love it.